Wow, good luck explaining THAT, hoomin. I know, Zephyr, I know . . . I am definitely in a jam here, and I could use a little help from a clever bunn like you. Any ideas? Hmmm, oooh, you refuse to use your gifts to help me explain to you why you haven't received a grate of organic carrots from me? Yes, RG, but could you clarify the meaning of "that look." And what is THAT? It turns out that it wasn't about the crate of carrots. 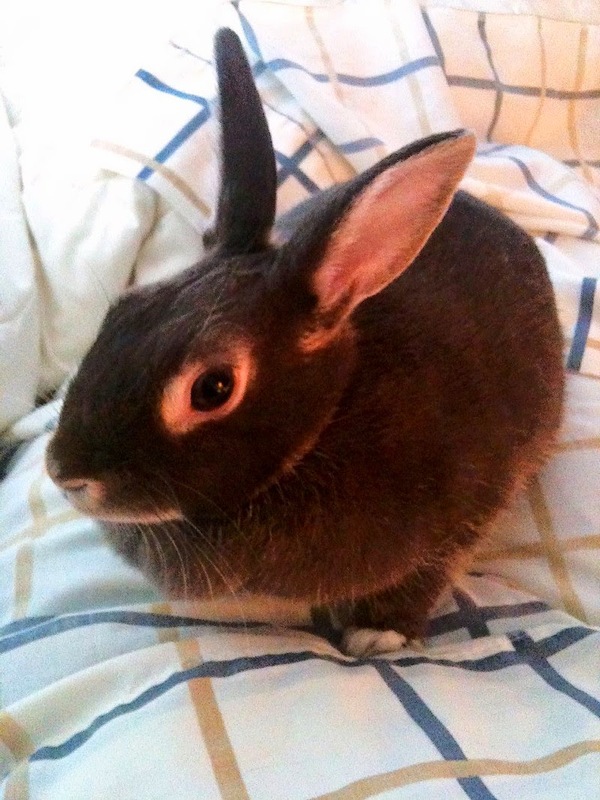 Do bunnies often ridicule hoomins? Is Zephyr a graduate of Speedy's Academy for Bunns Who Want to Be Cheekier? What is going on in that bunny brain? How can I "explain" without more info.